Meghan Markle is the belle of the royal ball at the moment. Not only did the actress succeed in getting her claws into Prince Harry, but she also cemented herself as one to look out for on the British socialite scene. But what does this mean for the monarchy? Is the Queen pleased with Prince Harry’s exploits? Could Meghan Markle become the next Duchess of Cambridge? Not so fast. Although the royal household has changed up in recent years, it’s still a very tight-knit familia with fingers in pies all over the world. As we witnessed with Princess Diana, the monarchy can be a monstrous beast. Bar the occasional annus horribilis, there isn’t much standing between the Queen and her family of misfits. So this begs the question – what would the monarchy look like if Meghan Markle joined the fold? Would she be as popular as The Duchess of Cambridge? Would she bring a Grace Kelly-esque touch to the otherwise staunch and stoic world of royalty? Celeb Dirty Laundry took a look at Meghan Markle’s hypothetical marriage to the spare heir, Prince Harry. The once-divorced actress would have a hard time fitting in with the royal family. The Duchess of Cambridge was lucky; she was born and bred as a royal. Markle not so much. She comes from the dazzling lights of Hollywood and the vapid shell of television acting. It’s almost impossible to picture her having a royal time with the royals. She doesn’t fit in. And no amount of debutante classes would give her that edge she needs. The Queen must be very anhedonic about the possibility of her spare heir grandson marrying the less-than-royal-wealthy divorcee. Markle is already on the front page of every tabloid newspaper in the UK. She’s the current buzzword and is on the tip of everyone’s tongue. Would she be subjected to a Princess Diana-like paparazzi hunt? Indeed. She’s already buckling under the pressure of the flashing lights. There is no greater fame than being married to a prince, especially Prince Harry. The media would hound her day and night. Is she cut out for this type of lifestyle? Perhaps. Perhaps not. If the latter is true, it’s quite possible that Markle could grab the Get Out of Jail Free card and run away like a crazed One Direction fan after Zayn Malik left. Needless to say, Markle will face the tried and tested spare heir curse. We had Randy Andy and Sarah Ferguson. We had Princess Margaret and Lord Snowden. We had Princess Anne and Mark Phillips. To sum it up: we’ve had our fair share of spare heir dramas. 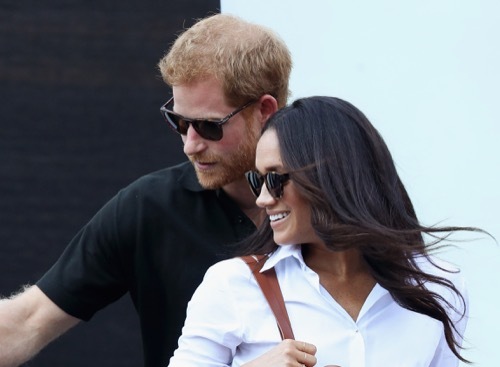 Why would it be any different for Markle and Prince Harry? It’s a tried and proven method of madness. The royals have a way of destroying relationships like I would destroy Nickleback CD’s. Doom, gloom and a dash of madness. Will Meghan Markle survive the onslaught of the Windsors? Will she triumph above insanity and gain a foothold in the ever-changing royal landscape? The Duchess of Cambridge did it. But then again, she wasn’t a spare heir’s side-dish.